Much thanks to my friend, Tony, for sharing this week’s submission. 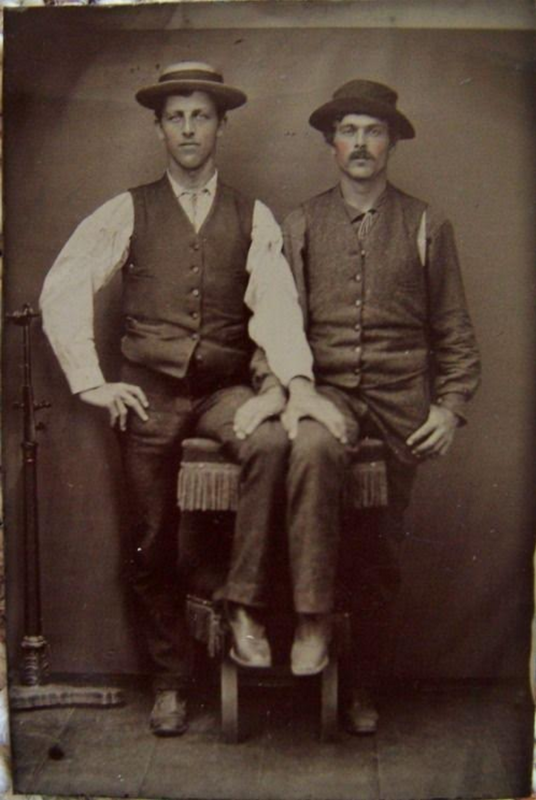 As my regular readers know, I dedicate this weekly post, featuring vintage gay photographs, to the men and women who lived in a more critical time where being true to yourself and loving who you want wasn’t always an option and came at a great price. Do you have a photo you would like to share for a future post? Email me at bosguymail@gmail.com. Great picture! These “Vintage Gay” posts are interesting to look at! This is a great find, BosGuy. I think it is safe to say that I love your “Vintage Gay” posts almost as much as your “Furry Friday” and “Bonus Fur” posts.